ISLAMABAD: A huge demand for registration form for the newly launched Naya Pakistan Housing Program Thursday slowed down website of the National Database and Registration Authority (Nadra), but was restored to normal after it got an overwhelming response from 0.2 million users from 174 countries. According to Nadra spokesman, the website experienced around 10,000 hits a second, causing it to crash, however it was restored by its IT Staff who did not anticipate the heavy response. In the first hour, over 62,000 forms were downloaded from the website. 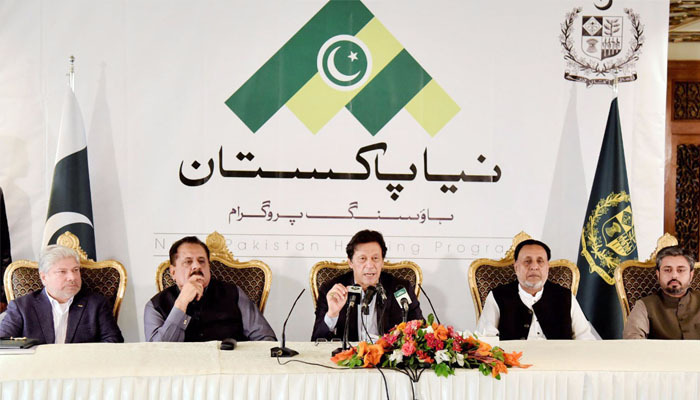 Prime Minister Imran Khan announced launch of the program a day earlier and vowed to meet the housing shortage of the country by building five million houses in five years. He said the program would not only provide affordable shelter, but also ensure that the residents get all modern basic facilities of life. The form available on the Nadra website has been designed to collect data from the applicants and seeks their requirement, price range and location of the house and the number of people who were expected to live in the house. Preference would be given to those who do not have any independent residence in Pakistan and only one person in a family is eligible to apply. An amount of Rs 250 will be deposited with every form, and a copy is also acceptable. The forms can be submitted from October 22 to December 21 at the District offices of the housing program at Sukkur, Quetta, Gilgit, Muzaffarabad, Swat, Islamabad and Faisalabad. The applicants will have to give details of their profession, whether they live currently in joint family, rental, kaachi abadi or some other residence.